Versatile brush with firm grip. 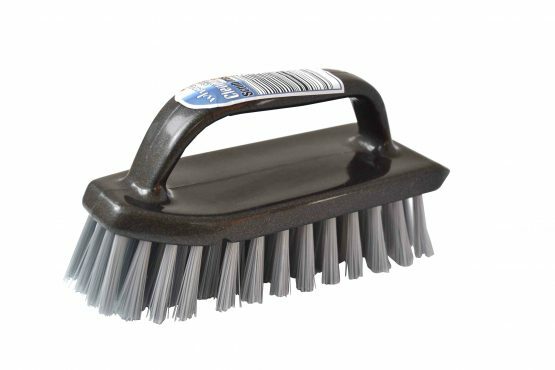 The iron shaped like scrub makes it easier to reach in those angled areas. Stiff bristles.